So, You are a massive user of WordPress or a Web Designer who build websites on WordPress? As a matter of fact, WordPress is the best way to design websites in this age and if you utilize WordPress to design your clients website, it would be the best choice. WordPress offers unlimited opportunities to add several functionalities in a website. Apart awesome layout design, you can add powerful custom forms, user access control, ecommerce system and membership system in your WordPress website easily. It seems that WordPress developers have made difficult things so much easier by developing awesome plugins and themes. Oh, Let’s cut to the chase. If you need to design Websites using WordPress, you must have a tool with the help of which you could create custom layouts or layouts on demand of your clients. There are many builder plugins and themes out there, but they are pretty expensive. For example, Visual Composer is a great layout builder plugin that can be purchased, spending $30 for only one website and there is no unlimited site license is available. You need to buy it separately for every client. In web design business, it is better to buy things with the freedom of unlimited usage so that you would not have to purchase tools for every of your client. Furthermore, if you have many professional websites, then you would not want to buy themes and plugins for every website separately and you would prefer unlimited site license for sure. Elegant Themes membership includes page layout builder, the Divi Builder with the help of which we can create any kind of layout within a matter of minutes. Divi builder theme and plugin is developing so fast that you can't imagine. After a couple of months they are going to launch Divi 3.0 a huge update for Divi builder including but not limited to frontend page builder, loads of new modules etc..
Oh my Goodness. Where all other themes lifetime membership is so much expensive, Elegant Themes lifetime membership is so much affordable and you can buy all current and future themes and plugins only for $249 and there will be no any charge for future updates and for new themes and plugins. You can use any Elegant theme or plugin on unlimited domains without any restriction. Even you can use Elegant Themes and plugin for your clients website (no other theme company allows you to use their themes on client websites). Monarch – Add Social sharing buttons, social follow buttons, Social Follow popups, inline popup, sliding widget etc..
Themeforest is not a theme builder company but it is a marketplace where several developers list their themes for sale. Themeforest authors work hard but they get very low revenue share. An average Themforest author gets 60% revenue generated from every sale. 40+% revenue goes to Themeforest. Only a few ThemeForest authors are making good revenue and rest of them are collecting almost nothing. This make Themeforest authors disappointed and they stop development of their theme when things go worst. Themeforest staff don't take any responsibility of inactivity of a Theme developer and Theme buyers have no option other than waiting for an update. Many of Themeforest authors don't provide support actively and they do not hear customers seriously. Any of your bought theme may be removed from marketplace anytime and Themeforest don’t take any responsibility for it. It is not that Themeforest themes don’t worth buying. Many developers work hard to make their themes better and to provide great support. I recommend you to browse “Popular theme section” to find out best available themes on Themeforest. Browse the product comment section and find out how is author dealing with questions posted in regards to the product. This section exposes whether users are satisfied with the product or not. Also consider product popularity. i.e review the sale count of the product. Compare its sales/age ratio with the sales/age ratio of other popular themes. If the theme total sales are too low even after a quite while since it was created, you had better quit thinking about buying it. To check theme coding quality, copy its live demo link and check it with GTmetrix website speed test. This test provides sufficient detail to determine how well a theme is coded and how good is it for SEO. Not only Themeforest theme but also every WordPress theme should qualify this test. There was a time when Woo Themes were considered best premium WordPress themes. But things are just opposite now and Woo Themes stand no where. I have to say that Woo Themes are now out dated. They are not building and improving themes according to current standards. None of Woo Theme features a page builder that is necessary to create custom layouts for clients. They always boast about their flagship theme “Canvas” but according to me there is nothing special in this theme. Moreover they are selling their theme at incredibly high price. Can anyone ask them why their themes are so much expensive. I would definitely like to know the reason. They really need a start over to rejuvenate their themes according to latest requirements. I really appreciate Templatic developers as they are offering amazing application themes. particularly, I like their Directory theme that comes with a lot of child themes such as Location,City Guide,Travel etc. They have also built themes for Real Estate,Construction / Builders, Vacation Rental. But Templatic themes would be good so long you need to build a Directory listing website, Real Estate Listing Website, Construction Website. Templatic Themes don’t feature a custom layout creator. Every of the Templatic Theme comes with Unlimited site license and you need not to buy these themes again and again for your different websites. After reading this review, you should think yourself which would be best for you. All theme companies other than Elegant Themes are selling themes at pretty high price. There are many Themeforest themes that may suite your needs but what about certainty of their existence? When a theme is removed from Themeforest Marketplace, Themeforest, even don’t tell you the reason why that theme was removed and all you find is that Theme has been removed from your download list. I have bought several themes on ThemeForest. Many of theme have not been updated for years and some of theme has been removed from marketplace. On the other hands Elegant Themes,Woo Themes and Templatic themes run a serious business and themes update and customer support for them is on the highest priority. Between all three theme companies we don’t like Woo Themes but we love Elegant Themes and Templatic themes because they have their own specific advantages. Thanks for the advice. I bought a subscription with Themeforest before seeing your post. Which would you say is the best choice for a beginner, Avada, Enfold or Divi. Of course Divi is the best choice as it has a strong foundation. Avada is the all time best selling theme on Themeforest and that is why people tend to buy this theme at first sight. But when solid code framework, support and price are concerned Divi comes out as the best builder theme. The main attraction of this theme is that it doesn’t have many 3rd party plugins bundled in it and it is a standalone working theme. On the other hand Avada and 99% popular themes on Themeforest themes are useless without bundled plugins. If you really need a theme to build custom layouts and that has many bundled useful plugins then go for Ultimatum. Ultimatum is a theme with which you can not only create page layouts but also create page templates (including custom sidebars, header and footer) and it is bundled with Visual Composer, Revolution, Layer slider, Essential Grid and many other plugins that can easily make you woo. Even you can create custom loop layout with Ultimatum (heights of customization). You can use Ultimatum on unlimited websites including clients websites. I bought from Themeforest for my first WordPress theme via Envato and had the worst experience of my life. Not from the theme I bought, but from a seperate plugin that could not be installed and after purchase it stated that it was not a WordPress plugin. 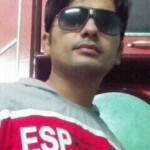 Developer of the plugin would not give me support and could not install it on my X theme. I did a chargeback and that shut my account down which made my X Theme useless. Finally Pay Pal which I felt was excellent refunded me. After finding reviews about Envato I found many people with the same problem except some had thousands in themes and plugins. Some stated they could not get their account back even after releasing the chargeback. Buying themes does require a serious developer about their business. Once built if the developer does not have good support or quality coding you wasted a lot of time building a site. I have been pondering purchasing the Elegant themes subscription. I may do it with the big sale going on. I do like to use different themes from time to time based on the look. One thing that held me back from Elegant was the membership due to the fact that most of the other themes besides Divi did not look that good. But I think it is time to give a 1 year plugin and theme license a try and if it works out go for the lifetime. I just do not want all my sites looking the same. Do you know if there is a place to view a variety of Divi built websites? 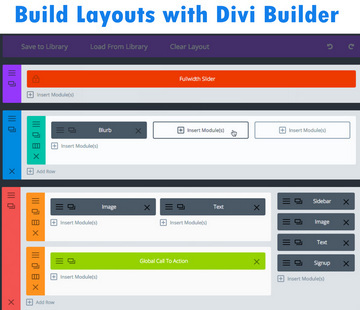 If you don’t want to use Divi, you can have a look on Divi Builder plugin. Divi Builder works perfectly with any WordPress theme. I admit that a theme must not be relied on a plugin that is not well supported and coded. As for coding quality, Divi, WooThemes and StudioPress themes can be said best. If you need to create various kinds of layouts, I think Divi is capable of doing this. You can create unlimited unique layouts with the help of Divi builder.